After a romp with Jason Ricci (harmonica) and Nick Moss (guitar) on “Born in Chicago,” Walker is joined by Watermelon Slim in presenting the largely instrumental, just shy of 12-minute “Sugar Mama,” featuring some terrific harp and organ. 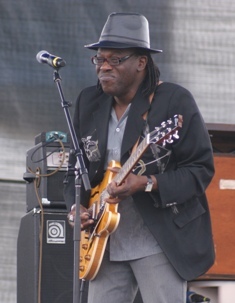 The powerful “Tell Me Why” with Duke Robillard and a pairing with Kenny Neal on the rocking, harp-filled “A Poor Man’s Plea” are among the most sparkling of the gems on this treasure, while the funky “It’s a Shame” from Walker’s own band (which includes Henry Oden on bass and Linwood Taylor on guitar) helps to bring the album to its closing number, which has Walker shuffling off on a “747” with Paul Nelson, Tab Benoit, and Mitch Woods. 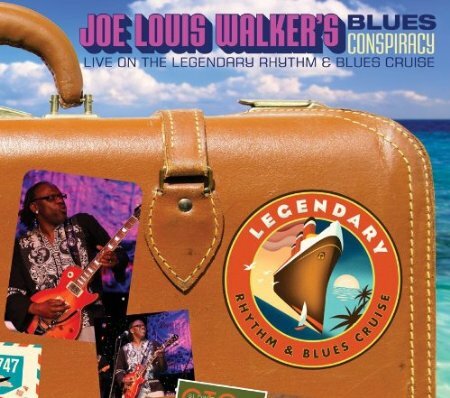 Just as the recording captures him doing so well at sea, we expect that Joe Louis Walker will again be making some nice waves in the blues world with his Conspiracy. This entry was posted in Albums and tagged Curtis Salgado, Duke Robillard, Jason Ricci, Joe Louis Walker, Johnny Winter, Kenny Neal, Mike Finnigan, Nick Moss, Tommy Castro. Bookmark the permalink.